It’s been a while since Venus was in your sign. Though much else is buzzing around your solar chart for the next few days (for example, many alignments between planets in Libra and those in other signs, particularly Aries), you now have something helpful and special and beautiful: the goddess herself, sitting with you taking tea right on the front porch. Aries (March 20-April 19) — You will need to burn chaos for fuel, and you’ll get pretty good at it too. Keep your engine cool; don’t rev the accelerator. Rather, dip into any disorder, surprise turns of events or the unexpected arrival of people, while holding your center and focusing on the task at hand as best you can (and you can). Trying to maintain perfect order and organization will not work. You might tidy your desk to feel better, or not; though let your mind run a little wild and let your conversations veer off course. Then, the gems will emerge from the swirling mystery that is your life at the moment. If you need to maintain boundaries, I would propose two: focus the quality of your work, and do your utmost to come in on time. If that looks like it might not happen, negotiate with clients or bosses well in advance. — From your 2017 annual reading by Eric Francis, The Book of Your Life — which you can read here. Eric’s beginning work on the 2018 annual edition; we’ll have more on that soon. Taurus (April 19-May 20) — There’s an old expression that if you love what you do, you’ll never work a day in your life. I do not concur. Sometimes the more you love what you do, and the more you respect the outcome you’re striving for, the more effort you must apply. To do anything well requires discipline (not easy for everyone, though essential for you), some struggle, and enduring times when you would rather be doing other things. Don’t let anything deter you. It will indeed be the love of your work that brings you through any challenging phases in the process, and the excellence of the results that you get. There’s one more thing, which is your growth factor. That’s undeniable now; you’re emerging in the second half of 2017 quite a different artist (using that term in its broadest sense, as a contributor) from the one you were around your birthday. Gemini (May 20-June 21) — Others may try to impose structure on you, and you might let even them. Just don’t let it become a struggle; let it be a dance, or a friendly game, devoted to a purpose: getting the job done. Use the tension between the two approaches — yours being random, and that of others being more orderly — like a battery that produces a steady current. One thing you will need to monitor is your anger level. Anger is a natural emotion and, more than managing it, we all need to learn how to use it. In some ways it’s lurking behind much of what is motivating you at the moment. What often compounds anger is the feeling of being powerless, which you are not. That’s the particular dial to watch: any feeling that you’re ineffective, incompetent, a victim, etc. None of that is true, though there may be a moment or two when you feel that way. If you do, immediately tap into the childhood condition it’s connected to and you will regain your equilibrium. Cancer (June 21-July 22) — You might work from home this week if you can, if you usually work in the office. You might work out of the house, if you usually work from home. Experiment with your environment, and keep experimenting, particularly with what you do best in whatever particular location you choose. You’ll tap different aspects of your creativity in different places, even facing out of different windows or at different desks (if you work in a large office and there are some vacant ones). Also focus on making improvements to your home: there may be a major tidying project you’ve been putting off. If you do that now, you will get results and have the special satisfaction not just of a job well done, but also of a space beautified, reclaimed and made available for both pleasure and productivity. Speaking of: I won’t give the full “keep writing” rant this week; I’ll save ink and leave it to those two words. Leo (July 22-Aug. 23) — You can tap extraordinary powers this week, though you will need to orient your ship and its sails with the wind and the currents. It will be possible to go absolutely nowhere, or to sail across the sea in record time. Therefore, focus on your orientation. Here are some possible examples. One is the place where your daily life meets up with your larger and longer-term plans. Anyone who has aspirations to do anything beyond what they’re currently doing must work this territory: the one where little old today meets (or seems not to meet) the far away future. If you’re even conscious of this, you will be able to make better decisions. It will help if you perceive the future as real and, therefore, your actions now having a guiding influence there. As for the relationship between the present and the future: that reminds me of something John and Yoko once wrote in a letter to their fans, where they reminded us that the sky extends all the way down to the ground. Virgo (Aug. 23-Sep. 22) — Let your momentum carry you, even if you seem to get blocked or stall out. If that happens, slow down and work through the obstacle gently with patience and persistence; then come back up to speed. The thing to remember is that you don’t need to push so hard. If you drift in a direction you don’t want to be going, be careful not to veer too hard the other way and over-correct (a common cause of accidents). Rather, make a series of gentle corrections to bring yourself back on course. Potent forces are at work in your life. This is the last week of Mars traveling through your sign and, as it happens, the Moon will make a conjunction to Mars on Tuesday; that’s a long way of saying you’ll really be feeling this planet of hot, assertive, driven and in some ways sexual energy. In the Gemini reading, I’ve provided some ideas about how to use anger as a productive rather than destructive force, which begin and end with being aware you’re feeling it, and not going into denial. When the entire world seems to be losing its collective mind, having somewhere to turn for solace, sanity and a way to make sense of it all is crucial. Resources that enable you to see how your life fits into the bigger picture — and which give you a sense of your potential, and how to make the most of it — can truly be a lifeline. To that end, Eric recently recorded the two astrology sections of your 2017-18 Libra Birthday Reading (the tarot segment will be ready shortly). This means you can get instant access to an astrological lifeline that has been crafted specifically for you — whether you have your Sun, rising sign or Moon in Libra. Eric designs these readings as a kind of life-coaching, spiritual healing, cheerleading and strategic problem-solving hybrid. You get a clear sense that you belong on this planet at this time for a reason — and that activating your soul’s purpose is entirely doable, even if you face painful challenges. Eric’s birthday readings address these issues with clarity, sensitivity and an eye to the greater energetic landscape — so you can see your path more clearly and take your next steps with confidence and peace. With Jupiter now in your house of what you value (including your self-esteem), you’ll be well-positioned to access and integrate two other major planet sign-changes that directly affect Libra: Saturn entering Capricorn in December of this year, and Chiron entering Aries in April 2018. With these planets ringing the bells of your home-work axis and your self-partner axis, the next 12 months of your life (and beyond) are sure to be dynamic. I hope you’ll take advantage of this opportunity to order your 2017-18 Libra Birthday Reading — before the next price increase (which will occur when the tarot segment is recorded). P.S. If you’d like to check Eric’s accuracy and review your past 12 months, you’re invited to listen to last year’s Libra reading, as a gift — before you purchase your current reading. Libra (Sep. 22-Oct. 23) — It’s been a while since Venus was in your sign. Though much else is buzzing around your solar chart for the next few days (for example, many alignments between planets in Libra and those in other signs, particularly Aries), you now have something helpful and special and beautiful: the goddess herself, sitting with you taking tea right on the front porch. My take on Venus is that this planet accounts for those with many talents. When you meet someone who can do ten different things beautifully, you will usually find a well-aspected Venus. And this you now have, positioned in your chart where you can have direct access to it, and let those gifts you have shine out. Just one caveat, one potential fly in the ointment: be careful not to feel like a victim of the work that you do. In other words, if you’re a gifted person and your current job does not allow you to express yourself, deal with that directly. Do what you can — and plot your way out of that situation now. Scorpio (Oct. 23-Nov. 22) — You can adjust your public image without compromising your integrity. Remember that any presentation to the public is indeed that, and will differ in some ways from who you are privately. There are ways to do this that are true to your purpose and to yourself. The question of presentation is really one of emphasis. It’s a matter of what you choose to say, to a given audience, for the purpose that you need to say it. This will never be a complete story, though it can be accurate in that it represents something of the complete person you are. This veers into deception when you distort some element of yourself in a way that’s not representative of your deeper truth. One gift you currently have — and it’s one not always so easy for you to access — is the ability to reinvent yourself. Your ruling planet Mars moving through the last degrees of the mutable sign Virgo is giving you genuine flexibility. One way to use that is to choose your words carefully. Remember: Jupiter is now in your sign. You are always speaking into a microphone. Sagittarius (Nov. 22-Dec. 22) — The next eight weeks are a formative, even critical, period in your life. In that time, the mighty Saturn will move through the last degrees of your sign. This has not happened for 29 years; it won’t happen for another 29 years; and in any event it’s happening now. This movement describes the end of a process that began three years ago. Saturn in your sign is about fundamentally coming to terms with who you are. That’s the simplest, most direct and most accurate way to say it. You’ve been through the lemon squeeze; you’ve had some trials and tribulations; you have probably moved up a few notches in the world; and you are most assuredly at least three years’ worth of effort better at what you do. The next two months are a time of completing this process, before you move onto the next level. Make sure that all of your contacts with others are complete. Take care of the details. Remember you are the one and only leader of your life. Capricorn (Dec. 22-Jan. 20) — Float your ideas, rather than launch them like a rocket. You will have the latter impulse in a pretty strong way, especially early in the week: you may just feel this need to thrust yourself out there, come what may. That would probably not work out so well, one result of which could be a loss of control either over your personal affairs or an idea that’s dear to your heart. Hence, the cooler, easier-going approach: develop something till it’s pretty good, like a second or third draft, and pass it around and get feedback. Test your idea out on a select audience, or run it past some people you consider mentors or masters of your particular craft. Make revisions, though staying true to the original impulse or motive that’s guiding you for as long as it seems relevant. Be aware that you don’t have to rush. For the next two months, your ruling planet Saturn will be moving through a sensitive part of your chart, heading for your sign. You’ll want to be ready, or even over-prepared, by then. 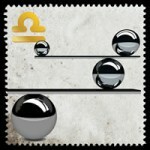 Aquarius (Jan. 20-Feb. 19) — You seem to be alternating between past and future images of yourself. Both are relatively true, and both are available now — as is an even better vision. The key is to know where you stand; in the flow of time, and in the flow of your personal development. By image, I don’t just mean a vague mental concept; rather, I mean a vision for yourself that you use as a sketch plan, model or template for further development. There are two main elements to work with. One is the image you have of yourself as relates to your friends, your community and whatever you define as your public. The other relates to the most direct, intimate, one-on-one partnerships and collaborations. This whole theme is worth a book chapter, though the short version is that these two concepts of yourself need to be in harmony with one another and, in turn, in harmony with something much deeper. Pisces (Feb. 19-March 20) — A rare alignment of planets, all focused on the small but deeply meaningful Chiron in your birth sign, points to an unusual turn of events where your career or professional life is concerned. To call this an opportunity would be putting it mildly, though it’s less like your ship coming in and more like your chance to shoot some dangerous rapids along a wild river. That’s the more fun kind; nobody would argue with winning the lottery, nor would they argue with the truth that they did not earn it. You must be at your best this week, which means getting rest and proper nutrition, and steering well clear of people who you know to be sources of drama. Where people in authority are concerned, you must proceed within protocol and with the utmost respect; you are aspiring to be one of them. When you must break protocol, or exceed a limit, or go in a new direction, do so fully consciously, and keep an open dialog with those to whom you are in any way responsible — especially yourself.